Problem 2: Jobs require energy. Data and research show that the lack of affordable and reliable energy is one of the top constraints to employment creation in nearly every African economy. Why it matters: A low energy future is a jobless future. 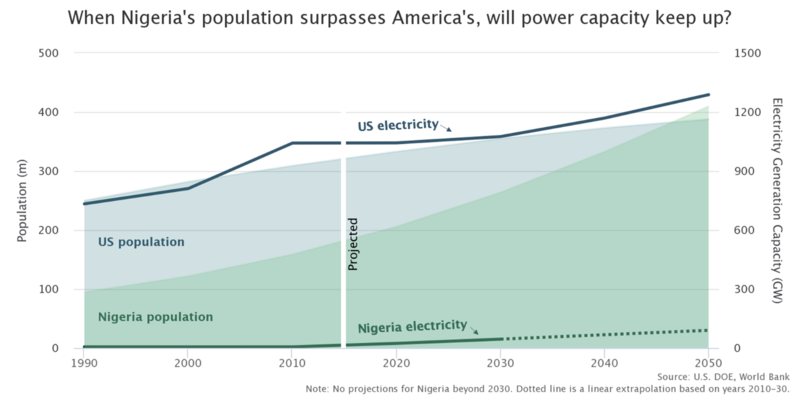 Nigeria alone will have a population larger than the United States by around 2045 — but is on track for only 2 percent of America’s electricity generation capacity (see Figure 1). If millions of young Africans and their families are to escape poverty and have a more stable and prosperous future, the challenges of large-scale power must be solved. Conclusion: Africa needs—and deserves— a high-energy future. 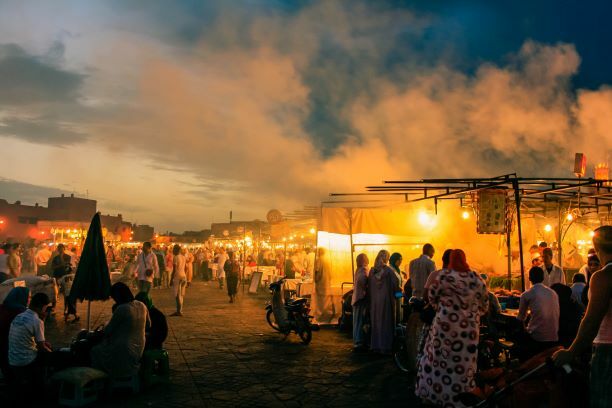 Africa’s future prosperity depends in large part on solving the energy gaps, not just for homes but also to provide affordable, reliable power for businesses. This means that countries will still require a functioning grid and large-scale power sources. Success will depend on policy reforms, increased investment, and new technology—all of which create opportunities to contribute by governments, development partners, researchers, and philanthropy. FIGURE 1: Many African countries, like Nigeria, will not have sufficient power capacity to keep up with growing populations and demand for jobs. “Jobs for Youth in Africa Strategy (2016-2025),” African Development Bank, 2016. 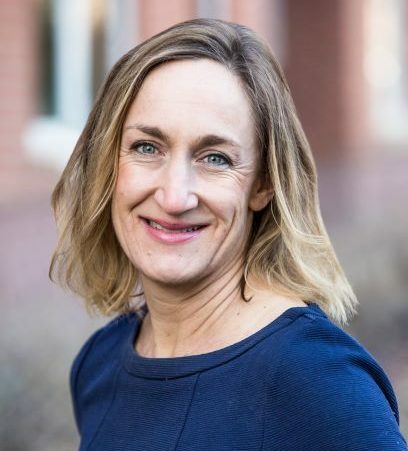 Abotsi, Anselem Komla, “Power Outages and Production Efficiency of Firms in Africa,” International Journal of Energy Economics and Policy, 2016; Ramachandran, Vijaya et al., “Africa’s Private Sector: What’s Wrong with the Business Environment and What to Do About It,” Center for Global Development, 2009. Sichone, Yimbilanji et al., “Electricity load shedding: An econometric analysis of the productivity of firms in the manufacturing sector in Lusaka,” International Journal of Commerce and Management Research, 2016; Tariku, Lamessa, “Power Outages, Its Economic Cost and Firm Performance: Evidence From Ethiopia,” University of Milan, 2018; (WILL DOWNLOAD PDF) Cissokho, Lassana and Abdoulaye Seck, “Electric Power Outages and the Productivity of Small and Medium Enterprises in Senegal,” Investment Climate and Business Environment Research Fund, 2013. Mensah, Justice, “Jobs! Electricity Shortages and Unemployment in Africa,” World Bank, 2018. Dinkelman, Taryn, “The Effects of Rural Electrification on Employment: New Evidence from South Africa,” American Economic Association, 2011. Fried, Stephie and David Lagakos, “The role of energy capital in accounting for Africa’s recent growth resurgence,” International Growth Centre, 2017. Next Next post: Measurements of Energy Access: A better way? About half of the world’s employed people working outside agriculture are in the informal economy. Because this diverse sector exists outside the rules and formal administration, little is understood about the current and future power needs of urban informal economies.